Mister Rogers arrives with a copy of the Guinness Book of World Records. He shares the details of a few records with viewers including an image of the world's largest guitar. 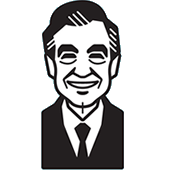 Mister Rogers encourages viewers' individuality by singing Be the Best of Whatever You Are. At Negri's Music Shop, Mister Rogers meets Kenny Burrell and sees the world's largest guitar on display. Mr. Burrell plays the oversized guitar before joining Mr. Negri as they play their regular guitars. In the Neighborhood of Make-Believe, Handyman Negri is playing the world's largest guitar for King Friday XIII when Lady Elaine Fairchilde arrives with news that Reardon is on his way to Make-Believe. Reardon calls the king and informs him that he is ready to create a new opera. When he arrives, he suggests that the new opera will be about swans. Back at the house, Mister Rogers shares a book with photos of swans and sings Be the Best of Whatever You Are. Corney mentions that he has never sung in an opera before, however he actually did so in the Lost and Found Teddy Bear opera.